James Hemings was born in Virginia into the most famous family in American slave history, the Hemings clan. His sister Sally, enslaved companion and mother to several of Thomas Jefferson’s children is the most famous Hemings. Half brother of Jefferson’s wife Martha Wayles, James Hemings became the property of Thomas Jefferson at age eight. 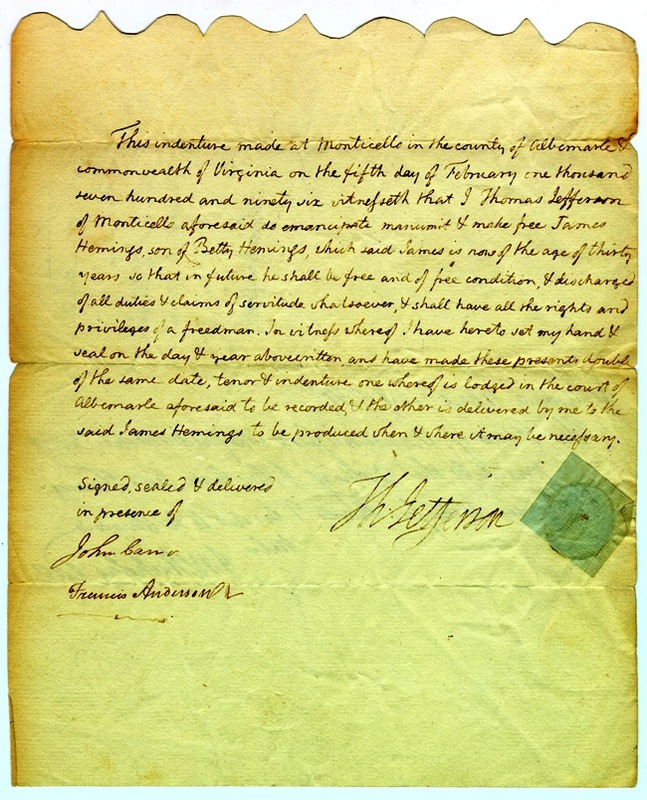 America’s first President George Washington appointed Jefferson as commerce minister to France. Jefferson and his daughter Martha sailed to Le Havre France, in July 1784, taking 19-year-old James with them. Jefferson brought Hemings for the specific purpose of training in the art of French cuisine. Hemings’ first task in France was to arrange transport and accommodations to Rouen, and then on to Paris. With no knowledge of the French language, Hemings still managed to complete the task quickly and efficiently, and with money to spare. Hemings began his culinary training immediately, apprenticed to a traiteur (caterer) named Combeaux. Combeaux was hired to provide Jefferson's meal service during the first year of his stay in Paris. Hemings subsequently trained under Jefferson's female French cuisinière, while simultaneously taking classes from a master pastry chef. His most important training was under the chef of the Prince de Condé, in the kitchen at Chateau Chantilly made famous by legendary chef François Vatel. Chateau Chantilly was today’s equivalent of a Michelin five-star kitchen, its cooking considered superior to the food at Versailles. Many dishes like foie gras, whipped cream, French fries, ice cream and meringues while not created in this kitchen, became famous for being made there, and later adopted by the bourgeoisie. Hemings learned quickly and in 1787 became the chef de cuisine at the Hôtel de Langeac, which was Jefferson's private residence on the Champs-Elysées. The Hôtel de Langeac was America’s first diplomatic embassy. It was there that James cooked for royalty and the most discerning palates in France. James effortlessly supervised a large French kitchen staff, having mastered the language. It was at Langeac where James developed his signature style of half-Virginia half-French cuisine. Most likely his was one of the oldest examples of French fusion cooking, excluding New Orleans. Hemings’ style and recipes greatly influenced Virginia plantation cooking and fine food preparation that spread from the kitchen at Monticello to Jefferson’s other plantations. It soon spread to the Mid Atlantic region and was adopted in kitchens north and south. In 1801, Edith Fossett, a slave-cook from Monticello was sent to President Jefferson’s White House. She taught Hemings’ half-Virginian half-French fusion cooking style to Jefferson’s white French chef. From there it spread to kitchens worldwide! Introduced what became the great grandfather of modern stoves, the “Potage” stew stove technology to America. Influenced generations of plantations cooks and black professional caterers, who were key to establishing fine dining in America. An inventory of utensils from Hemings' kitchen at Monticello, in his own hand. 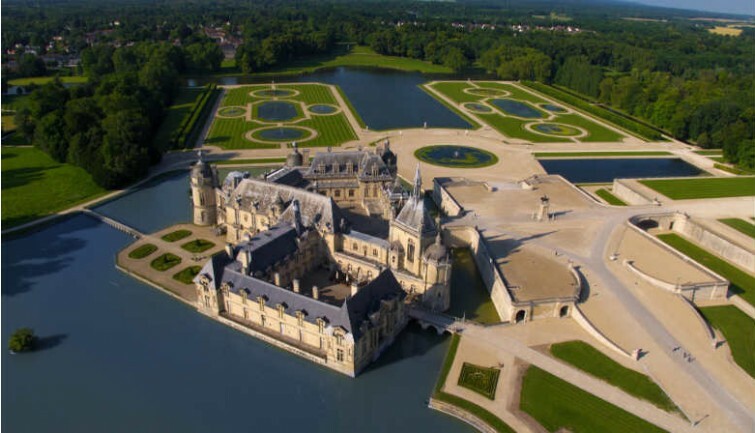 James Hemings trained at Chateau Chantilly, outside of Paris. Hemings' ice cream recipe, often misattributed to Thomas Jefferson. Copyright 2016 - James Hemings Foundation. Site by Neue Design Co.